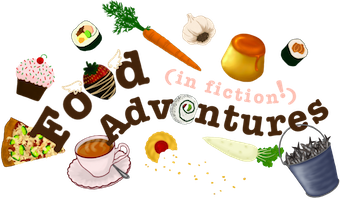 Book Adventures: (MG) Frederick Douglass For Kids by Nancy Sanders + Recipe & a Giveaway Hop! 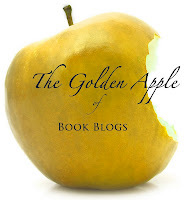 (MG) Frederick Douglass For Kids by Nancy Sanders + Recipe & a Giveaway Hop! Welcome to my stop on the Back to the Books Giveaway Hop hosted by I Am A Reader, Not A Writer and Buried in Books! 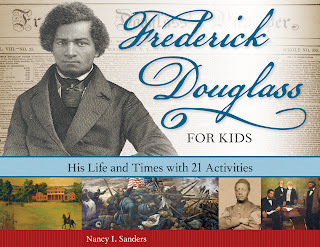 Because this is a hop in celebration of the beginning of a new school year, I'm giving away a physical copy of Frederick Douglass for Kids: His Life and Times with 21 Activities by Nancy I. Sanders! To enter the giveaway, please fill in the Rafflecopter form at the end of this post. Nancy I. Sanders is an award-winning author of over 80 books, including D is for Drinking Gourd, America's Black Founders, and A Kid's Guide to African American History. Aside from writing for youth, Nancy also writes books for educators, writers, and Christian readers. Frederick Douglass for Kids is her most recent book for younger readers, released June 1, 2012 by Chicago Review Press. Few Americans have had as much impact on this nation as Frederick Douglass. Born on a plantation, he later escaped slavery and helped others to freedom via the Underground Railroad. In time he became a bestselling author, an outspoken newspaper editor, a brilliant orator, a tireless abolitionist, and a brave civil rights leader. He was famous on both sides of the Atlantic in the years leading up to the Civil War, and when war broke out, Abraham Lincoln invited him to the White House for counsel and advice. Preview Frederick Douglass for Kids: His Life and Times with 21 Activities! Frederick Douglass for Kids is a beautifully crafted book, in writing and layout. The scope of information is very impressive and is compiled in a way that is enjoyable for youth and grown-ups. The writing is jam-packed with facts, but written in a semi-narrative style, in some instances describing the emotions Frederick must have felt in the given situations. The pictures in the book are mostly black & white photographs, many taken by the author while researching for the book. There are also many fact boxes in the book that highlight other important people of Frederick Douglass' time that he had interactions with. The activities featured in the book are spread throughout alongside the piece of history they relate to. They are varied enough that there is something interesting to do for everyone. 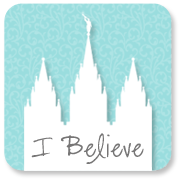 This book is great for a classroom, home-school, or an individual! I received two copies of this book from the publisher, one for an honest review and one to give away. Hooray for giveaways! 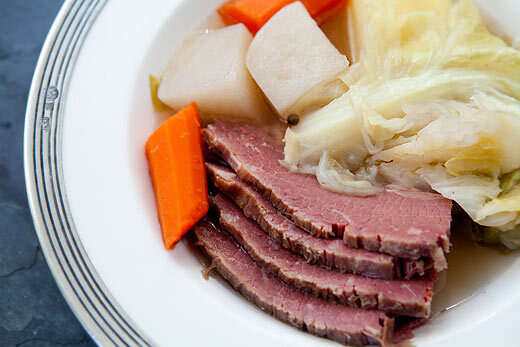 Put the beef in the pot and cover with water. Bring to a boil, then add salt & pepper and simmer, covered, for 2 hours or until the meat is tender. Add the vegetables to the pot & simmer for 30 min. more or until the vegetables are tender. Stir flour & salt together in mixing bowl. Cut in shortening with fork or pastry blender. Pour in the water & mix by hand. Put the lump of dough on a flat, sturdy, floured surface. Roll pieces of dough into 1 1/2 in. balls and place on a cookie sheet. Prick the top of each ball with a fork. Bake at 425F for 25 min. Boil one gallon of water and then turn off the heat. 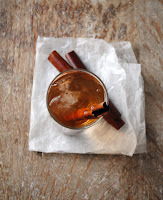 Place the dozen cinnamon sticks in the water and put the lid on it. Allow to cool for several hours. When ready to serve, mix 2 cups of cinnamon water in the pitcher with 2 quarts of water. Stir in the sugar with the whisk until it dissolves. Pour into cups and serve with ice cubes.